There are a ton of options when choosing a chewy for your dog, but some are better than others. I recommend the KONG, which is indestructible, saving you from monthly trips to the pet store. The added ability to fill it with something different daily, makes it exciting for your dog. For first time users, simply fill the KONG up with peanut butter or cheese wiz on the ends and stick a few kibble bits in the middle. Once your dog gets good at emptying that, start freezing it. 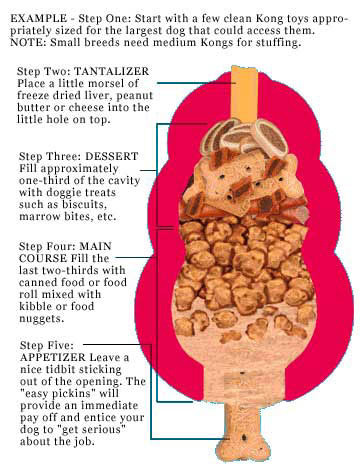 This will harden the PB and Cheese and take your dog much longer to lick through it. You can play with different types of food and treats and figure out which one your dog likes best and which one occupies him the longest. Also on my list is the Buster Cube, which is more of a toy than a chewy. The cube can filled with kibble and treats then rolled across the floor. The dog needs to push the ball around with his nose in order for the treats to fall out, which encourages play and helps with mental stimulation. 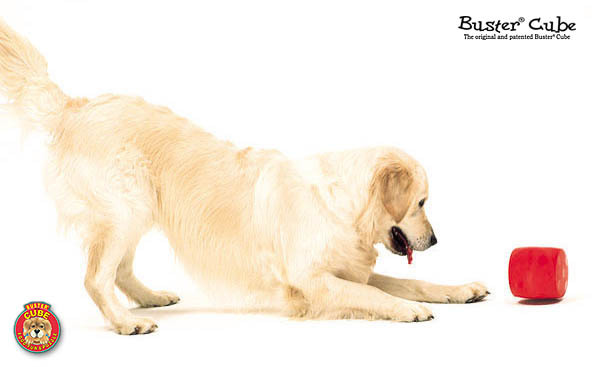 The buster cube keeps your dog busy and helps put off boredom. 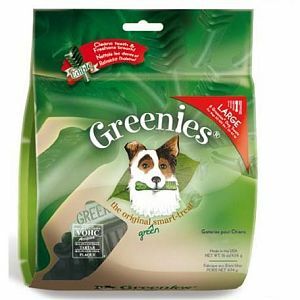 Greenies are great dental treats. They help keep your dog’s teeth clean and control tartar, which helps in reducing bad breath. The ingredients are praised as being a notch above the other alternatives and the added vitamins and minerals are great for your dog’s daily diet. They may be a bit more pricey, but well worth it for your best buddy. Make sure to supervise your dog when giving any kind of chew toy to avoid the risk of choking. Give your dog a chew that he cannot swallow or break sharp pieces off. Be safe and if you are unsure consult your veterinarian.